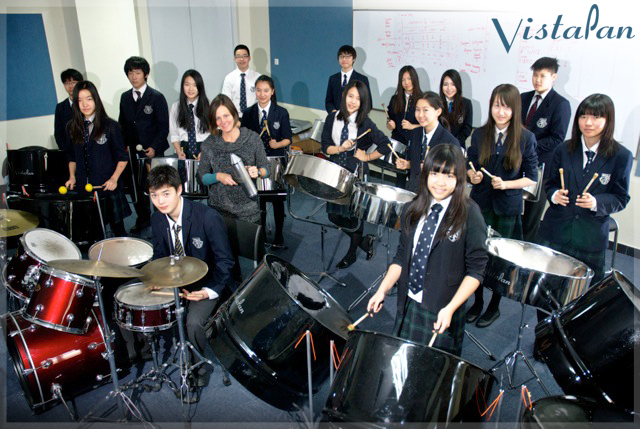 The Harrow International School took delivery of 15 new VistaPan steel pans in 2013 and started the first steel band in the cultural center of mainland China. First directed by Amanda Woollam and now by Jenny Finch, they have played many successful concerts. They make full use of the instruments with several bands now performing, including a community steel band for parents, teachers and other adults.